The Drive-In service is unique in the Tampa area. 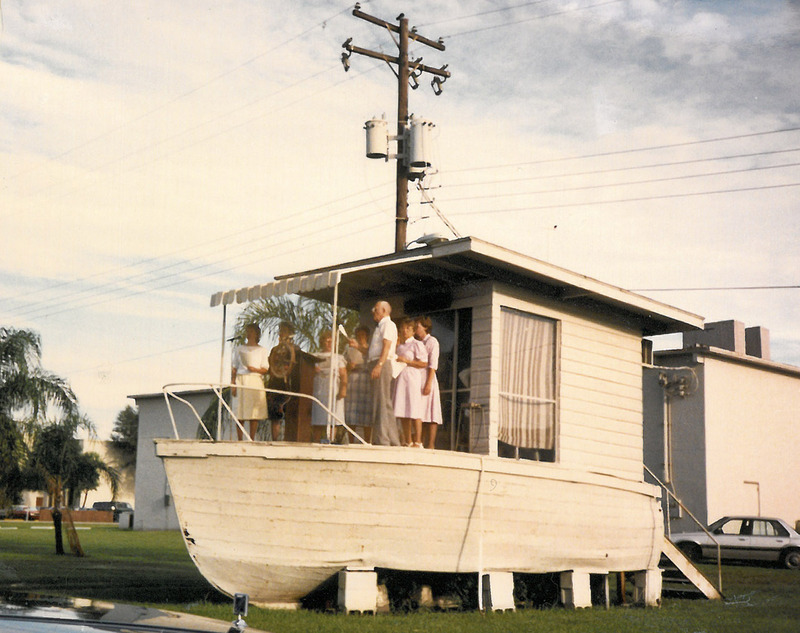 Begun in 1972 it has provided a weekly worship service with only a very few weather exceptions. The service is broadcast over your car or portable radio on 103.9 FM The service follows a standard worship service format of praise time, communion, offering, sermon and invitation. 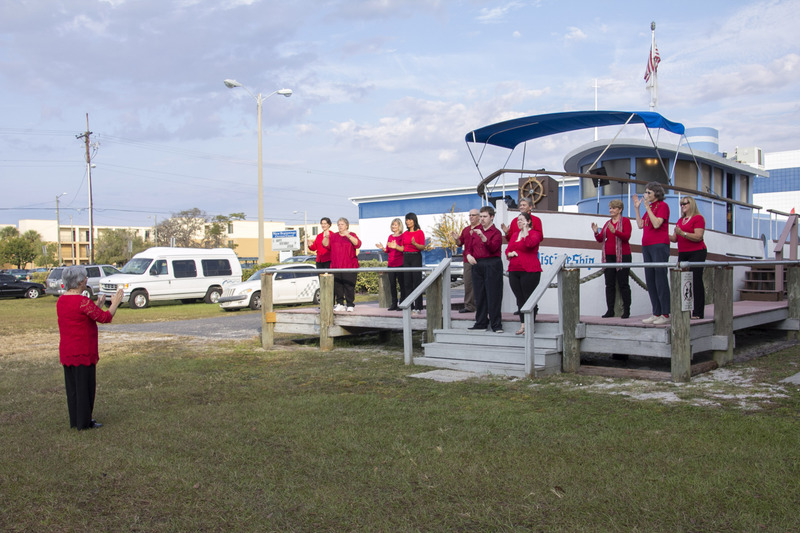 A stationary boat called the DiscipleShip is used by the choir and ministers as a stage and pulpit. You may stay in your vehicle or come early and have donuts and coffee or juice at the refreshment center. In 1972, at the suggestion of senior minister, Rev. 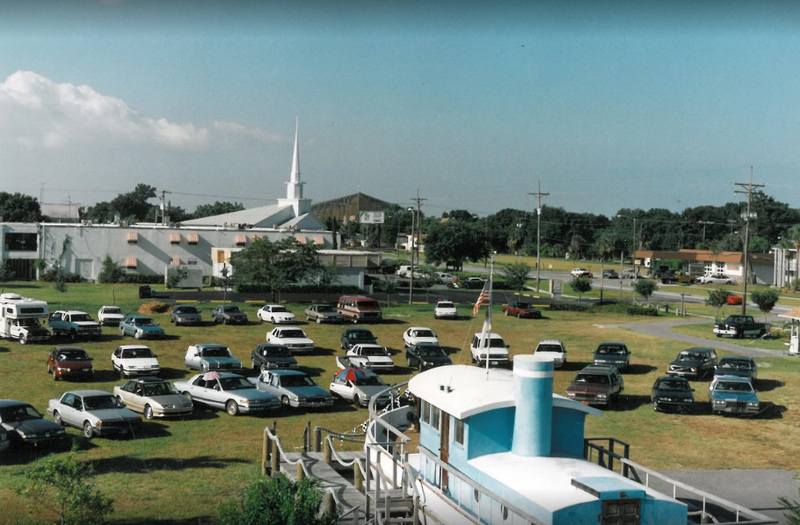 Dean Burton, the church bought the land and used it to create a drive-in ministry. 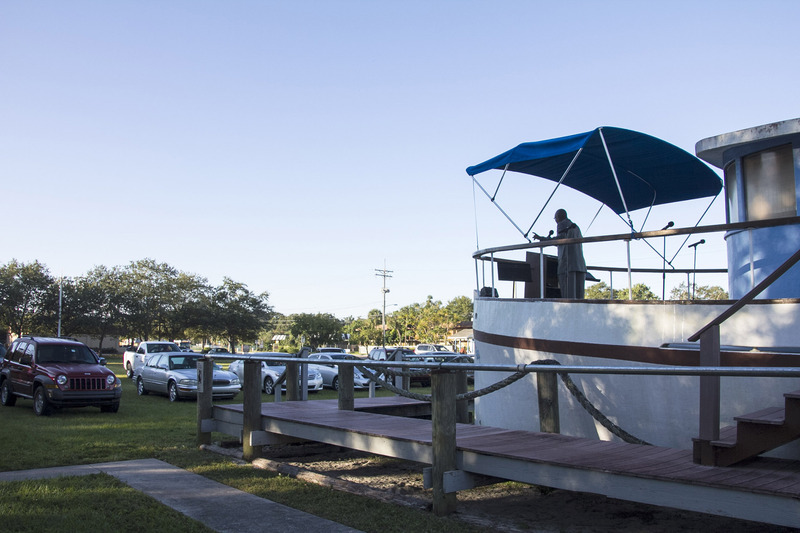 A neighbor donated a salvaged boat for use as the pulpit. Burton preached the first sermon from “Noah’s Ark” December 3, 1972. 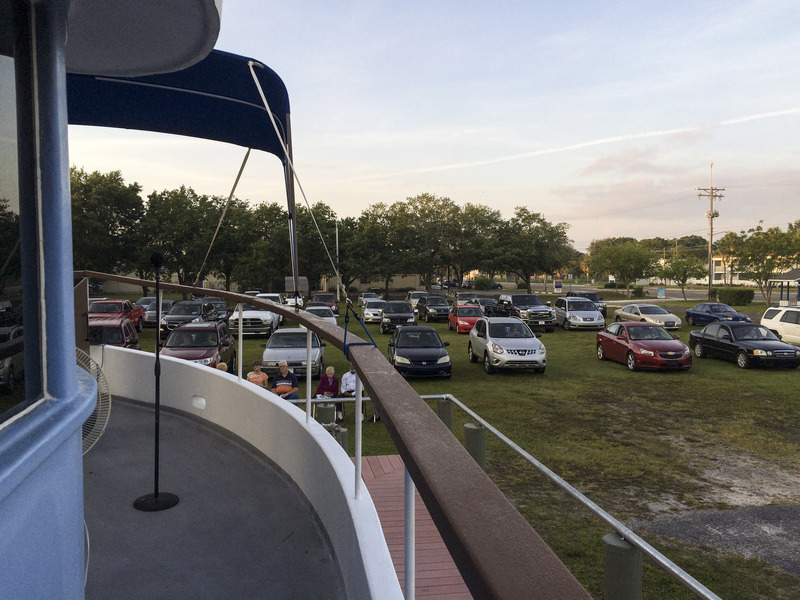 At that time, a pole and sound system, like those at drive-in movies, was used so that attendees in their cars could hear the service. 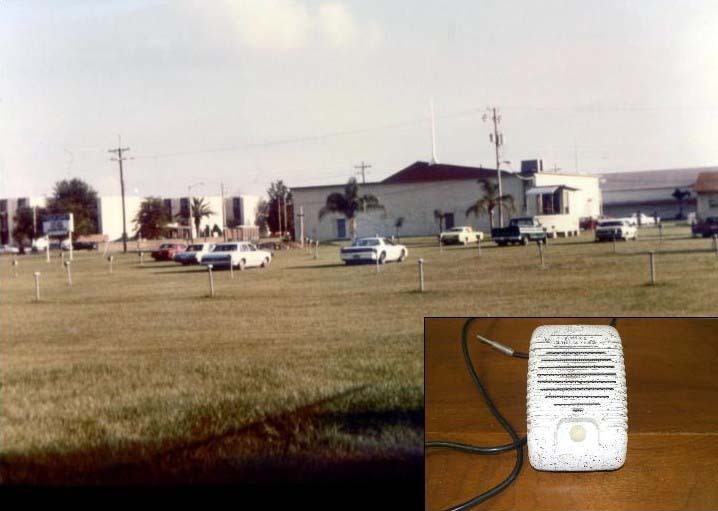 In 1988, worshipers began tuning into a radio frequency for the church service when a new underground broadcasting system was installed and the ark replaced with the current building designed to look like a boat. This building was named the “DiscipleShip”, which is in use today. Below are pictures from “yesterday” and “today”.